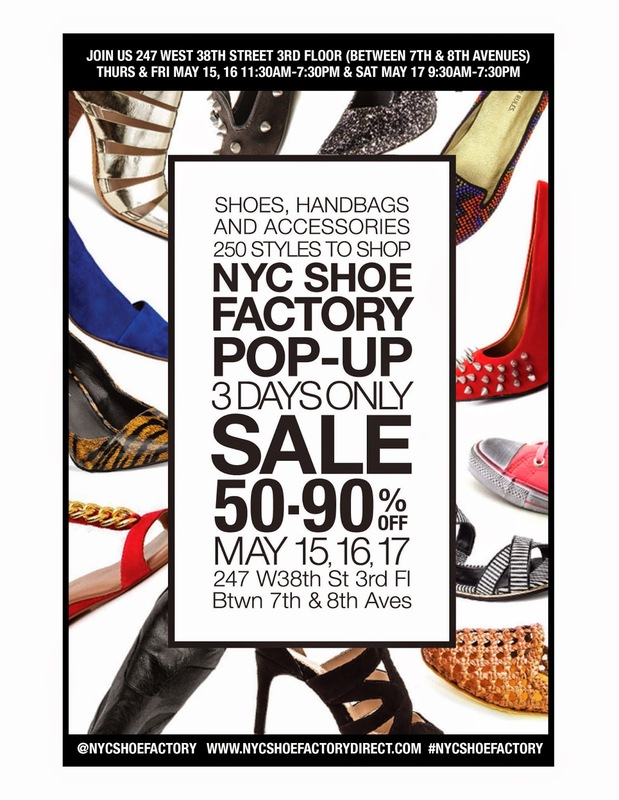 Calling all shoe lovers, don't let the rainy weather prevent you from hitting up this awesome factory direct pop-up shop. With over 250 styles ranging in price from $5.99 to $89.99, this is a sale you won't want to miss. 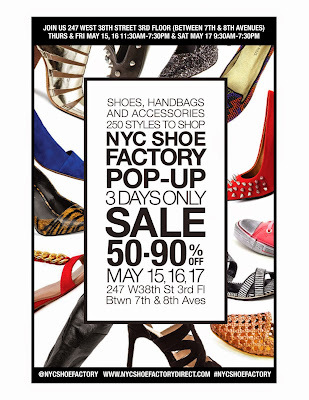 This sale starts today (May 15) and runs until May 17th at 247 West 38th Street, 3rd fl. It's a must if you want to get your summer and pre-fall shoe collection ready without doing too much damage to your bank account. The sale will feature the Adoni Group’s signature brands: Modern Vice, Obsession Rules, Penny Sue, Giraffe Walk (Beyonce was recently seen rocking a pair of woven oxfords), and Paislee. Get everything from flats, heels, booties, and everything in between at unheard of prices.Happy Shopping.